5 lb. 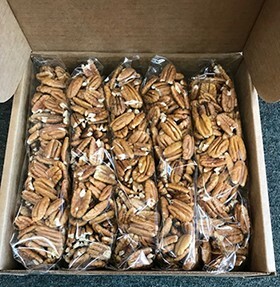 Box Southern Pecan Halves - These gourmet pecans are wonderful for holiday cooking! 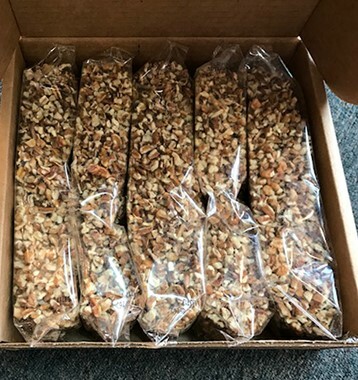 We have only the best and freshest pecan halves packaged in our Southern Pecan Halves. Perfect for cooking or just a healthy snack on the go!! From Anonymous of Little Rock , Arkansas on 11/12/2010 . Try our pieces with your 5 lb. box of halves! Why not try some of our original praline pecans to go with your Southern Pecan Halves? Our sea salt roasted are so good, you will want some to snack on with your Southern Pecan Halves.